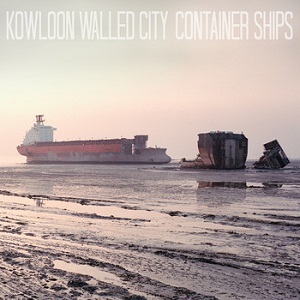 Kowloon Walled City – Container Ships | NoCoda. Post Rock is a tricky subject for me. It usually starts sounding like a bunch of droning noise after a while – like an excuse for art that is really muddled in a bunch of distorted layers. Say what you will, but I liken a lost of Post to a trendy art gallery where people go to sip expensive wine while looking at paintings that they really don’t understand. Then again, the artist, in his heart, probably really doesn’t either. It’s being in a room full of people that are going against the mainstream, pushing so hard to be part of an elite club that no one really knows the leader of, and it’s the attitude that comes along with that which makes it start to become so unbearable. This is why Kowloon Walled City came as such a great surprise for me. It certainly has its Post elements, but it’s heavy and differentiated at the same time. It’s got vocals, for goodness sake! Eat your heart out, Grails. I like you guys, but throwing some vocals into the mix goes a long way. Kowloon Walled City takes their name after the famous ex-military settlement in Hong Kong. Without much further explanation, it simply makes sense to me. Look at a picture of the actual settlement, and then listen to this music. It goes hand in hand. To survive this wicked place, you’re going to need some strength. Not a flamboyant demeanor with crushing guitars and drums all over the place, but one that is subdued on a level that still lets people know that if you wanted to, you could lay them down, and they wouldn’t be getting back up. KWC is well-versed in their tones; their guitars have muscle behind them, but they’re not walking around showing off. They’re the guys sitting in the dark alley that you can barely make out, but just by their silhouettes, you know enough not to start any beef. Speaking of beef, check out track three, Beef Cattle. It’s the definition of being heavy, without being wild. You’ll feel it in your heart. The actual track Container Ships is an example of KWC’s brand of Post. It drones, and it has its minimalistic elements. But not once is it ever too outlandish, or too repetitive. It’s hard to do that with seven minute songs, but these guys have honed their skills. You Don’t Have Cancer is a fitting conclusion of sorts to this journey through a desolate landscape, with an unknown, and possibly unreached, destination. The world is gone. Shuffling down an old sidewalk with only the moonlight as a guide, you know in your heart that the end of yourself very well may be imminent. You’ve traveled unfathomably far, unable to even remember how you started off in the first place. Clouds have been gathering, and the bushes to your left that line the schoolyard fence start to move. There is no wind, and you struggle to finally wrap your mind around that in addition, there is also no hope. It’s there, and there is no escaping. There once was light. There once was warmth. There once was love. Now there are only those bushes and whatever is within them. It’s encompassing. It’s in the trees. It’s in the windows of every building off in the distance. It’s right above you, watching every step, and waiting. It’s in the gathering clouds. Ah, just to put your arms around someone. To feel that security one more time. They’re all gone. Stop kidding yourself. It’s so dark; almost impossibly so even with that bit of moonlight, and it stretches on in front of you for, as much as you know, an eternity. Each step is irrelevant, and your chest is tight. There’s nothing. Just this sidewalk. Just your steps. Just that aura, constraining every inch of you against this expanding, vast plane that makes another mile out of every inch you take. It’s those damn swaying bushes, like dark magic. Somehow, they even seem to creek. It’s there. You know that…thing…has to be there. He has a magnificent lust. But you have one thing he doesn’t.